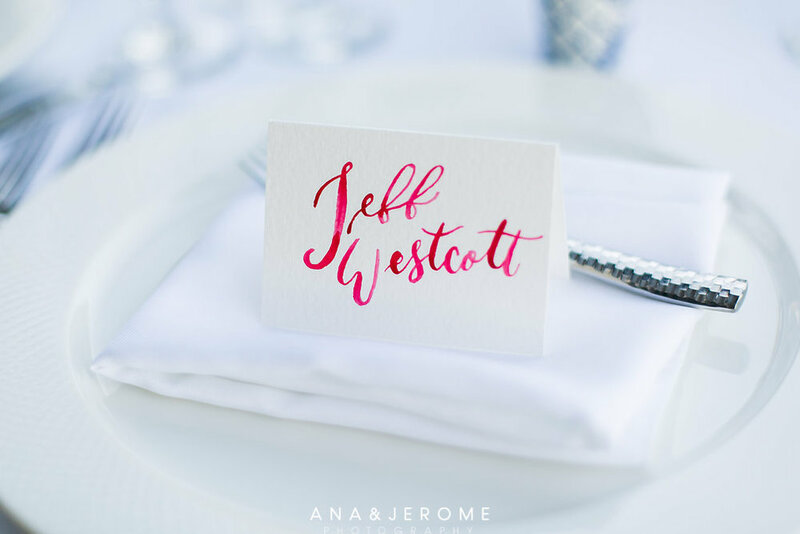 Lindsay contacted me looking for calligraphy for her upcoming wedding in gorgeous Los Cabos, Mexico, in a color palette pulled from the Mexican pottery shot glasses each guest would receive as a favor at their place setting. 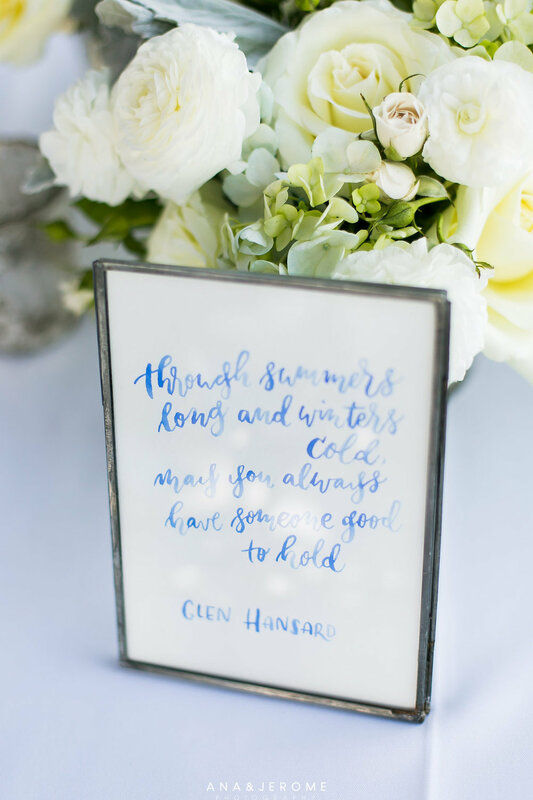 Her festive inspiration made for a really fun job, and Lindsay's personality is so easy-going and relaxed, she was absolutely what we refer to in the biz as an Ideal Client! 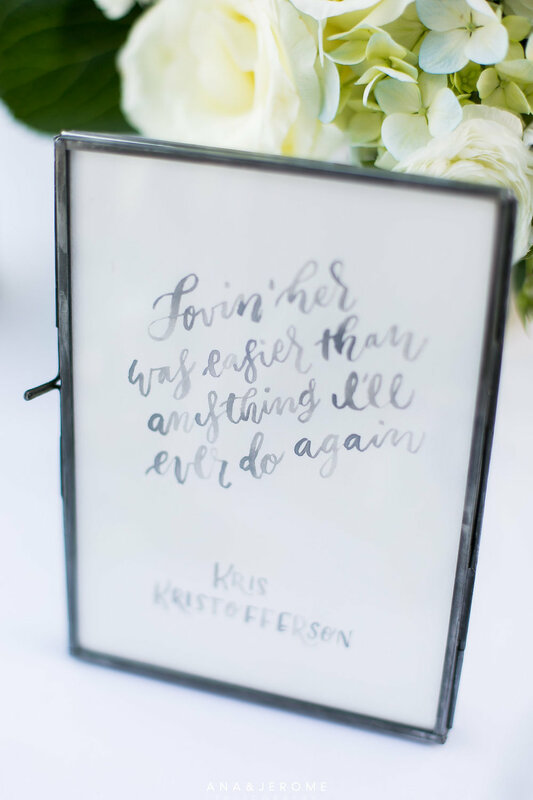 She and her fiance sent me lyrics to letter in lieu of table numbers (in the frames), with the colors in each lyric coordinating to the place cards at the table, and the table chart used the colors in a wash behind the guest's names to indicate seating. Pretty neat! Huge thanks to both Ana & Jerome Photography (who are so sweet by the way!) and the lovely Mr & Mrs Ward for these photographs! It's always such a thrill to see the final product in action! Wishing The Wards a life of happiness! Thank you for letting me be a part of your beautiful day.